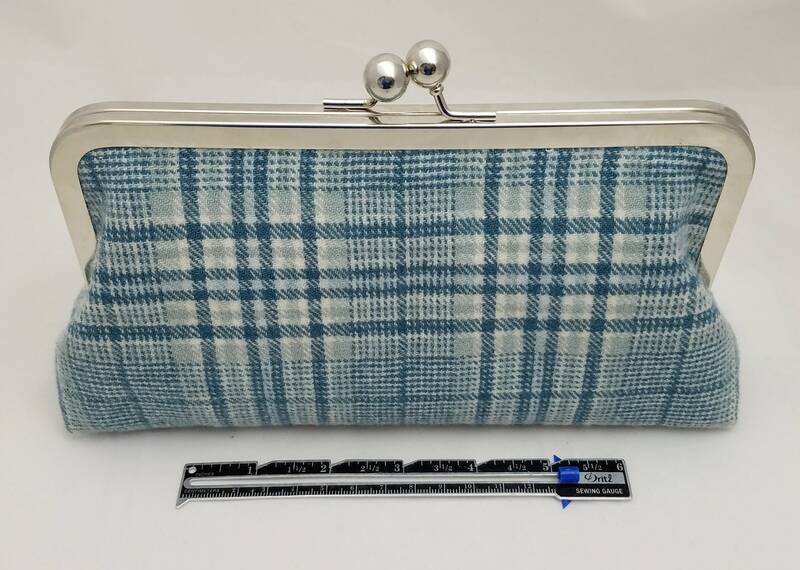 This listing is for the clutch pictured. 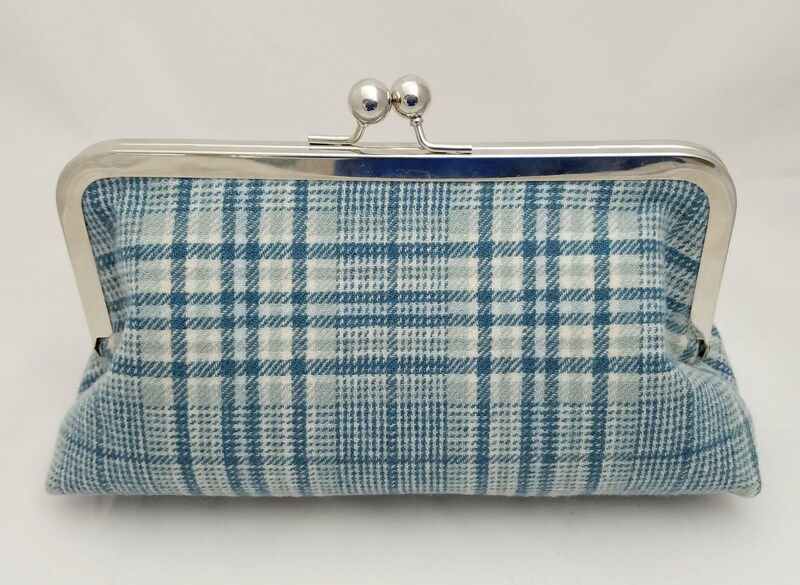 This is the actual clutch available for purchase. 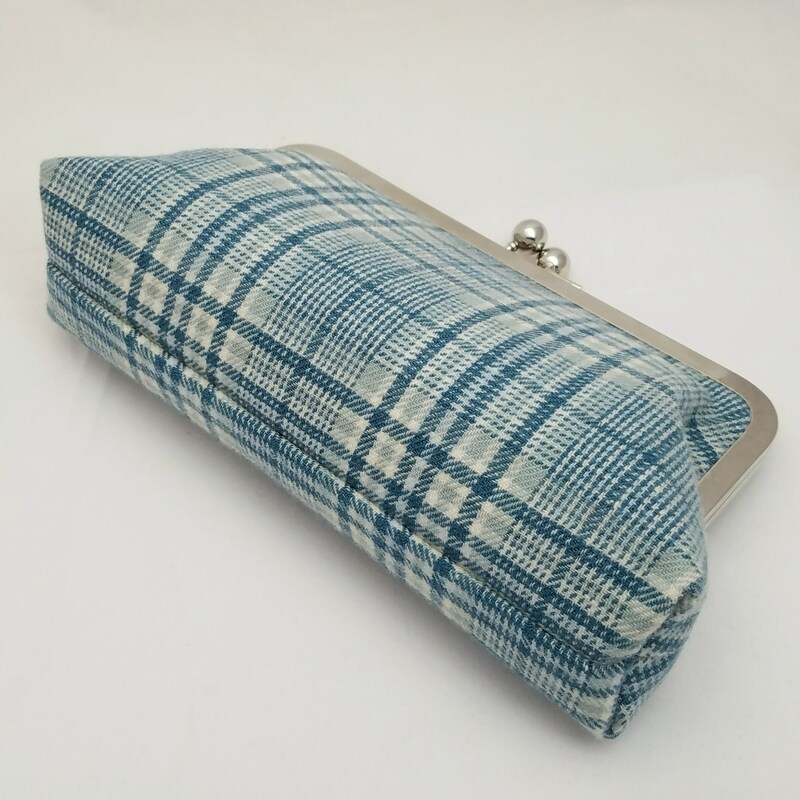 This clutch bag was created with a vintage wool fabric. 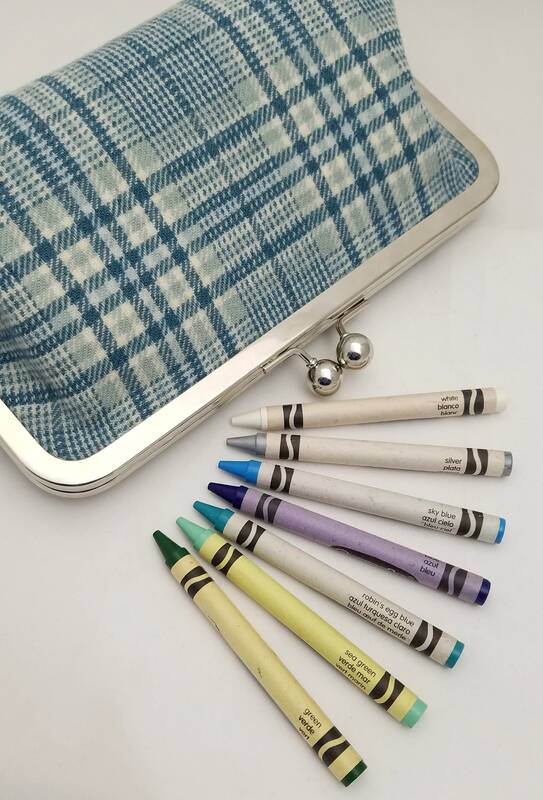 The plaid fabric is a blue color with lighter gray-blue accents. The wool is soft with a slight "felted" feel to it. 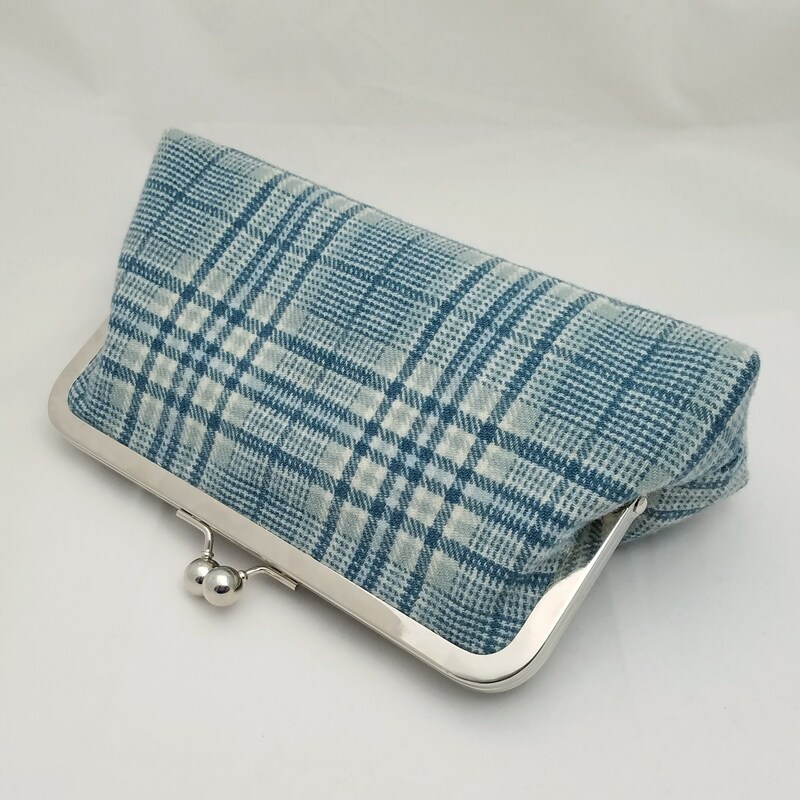 The clutch is large enough to carry your keys, money, cell phone and necessities and would be the perfect accessory for everyday use or anyone attending a special occasion. 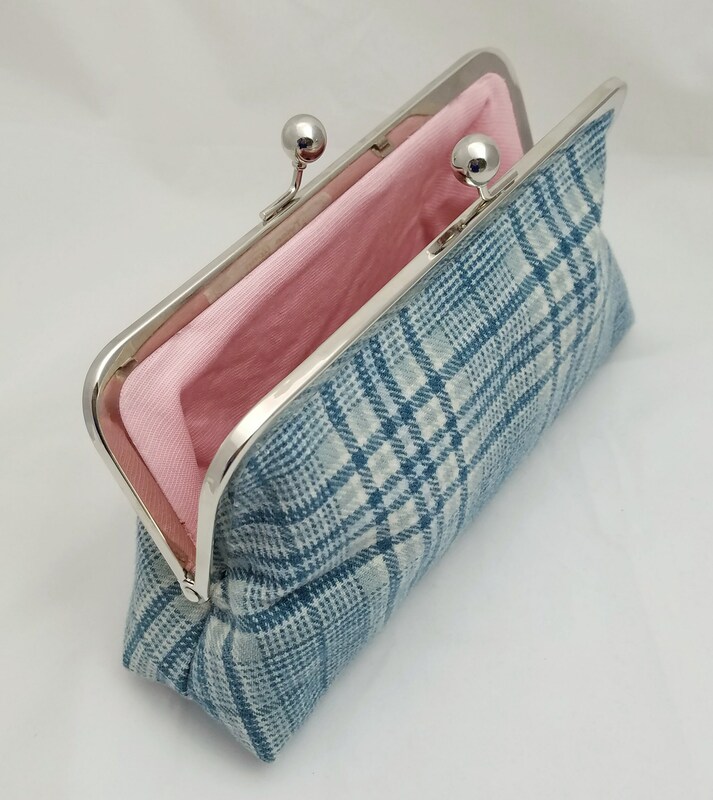 The interior of the clutch is lined with a vintage, pink colored fabric that I believe is a blend of cotton and synthetic. 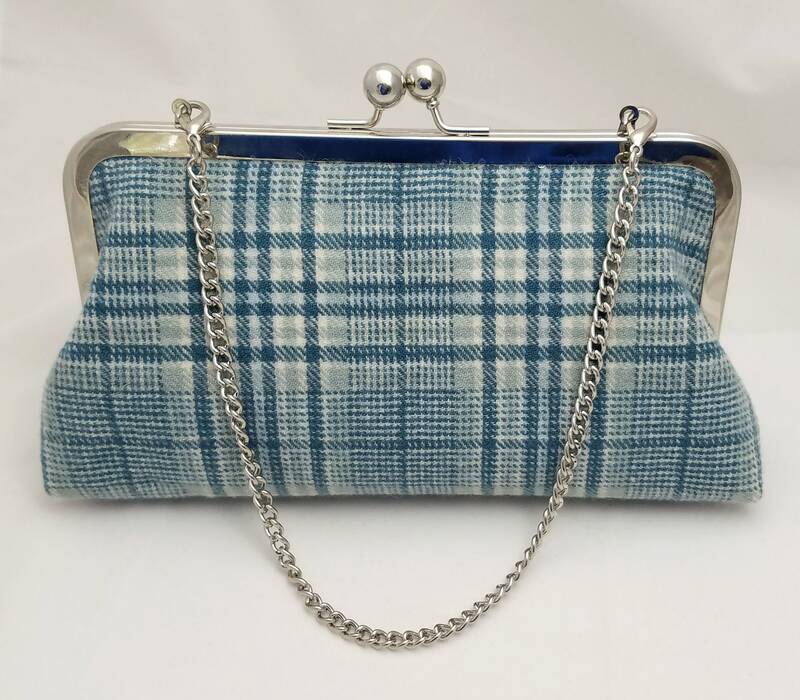 The clutch closes via a silver-colored kiss lock closure. The kiss lock frame has hidden loops for the addition of a strap. You can choose to add a shoulder length chain or short chain strap. Please select from the pull down menu. The chains can be purchased at a later date if you wish. 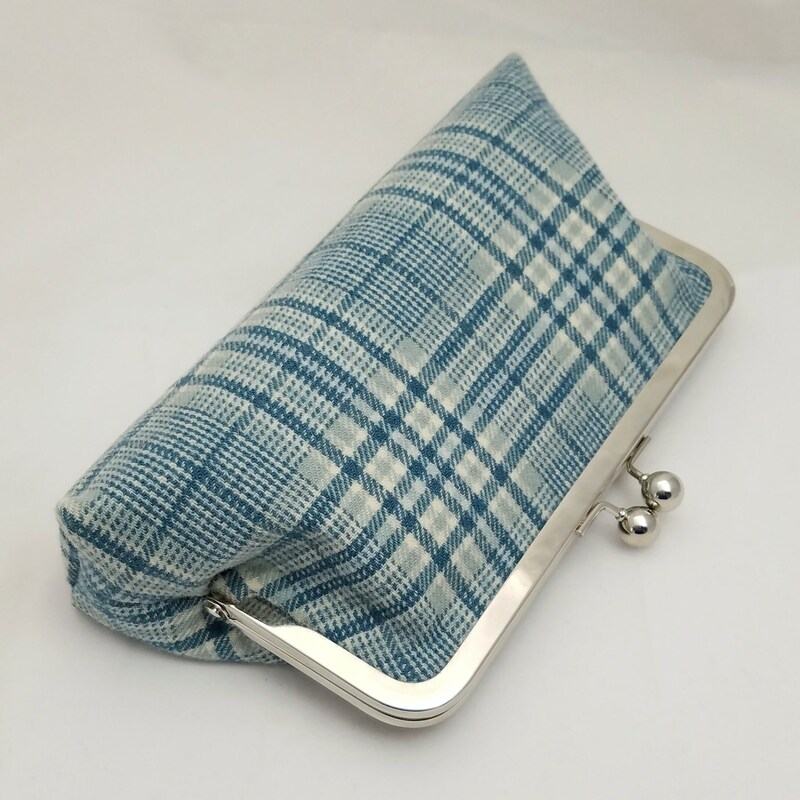 The clutch has two layers of flexible interfacing which gives it a sturdy, but flexible feel. It will maintain its shape when placed on a table. Please read the bag dimensions to ensure that this bag will be suitable for your needs. 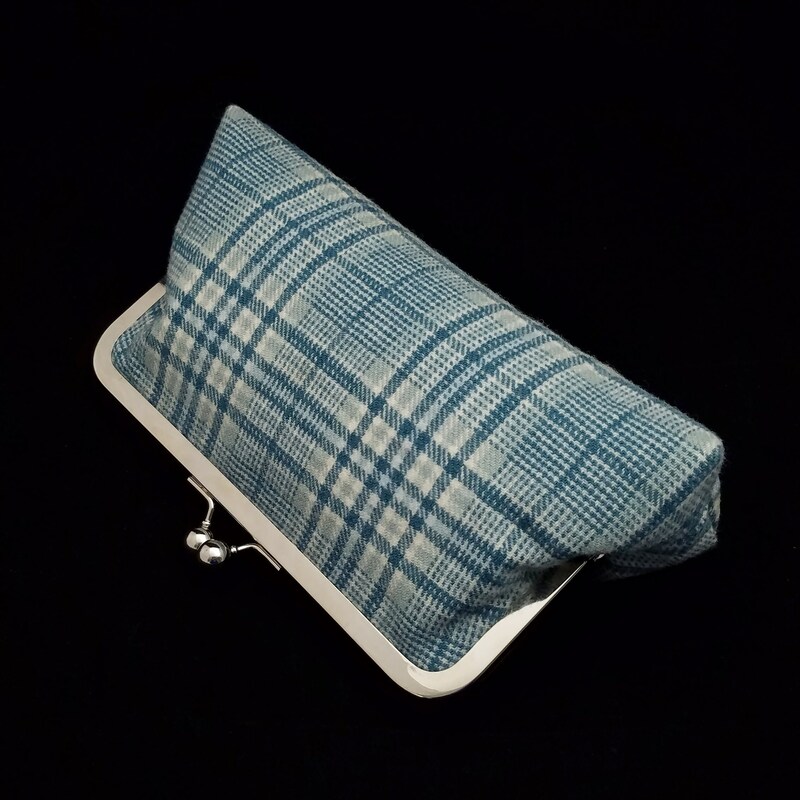 This item is created out of vintage fabric. This fabric may have small flaws. Please be assured that I stand behind my products. Please view my shop policy for return information. All items are made by ME (and only me!) in my smoke-free home. The last photo shows the color most accurately. Crayola brand crayons are shown in the photos for a color comparison. 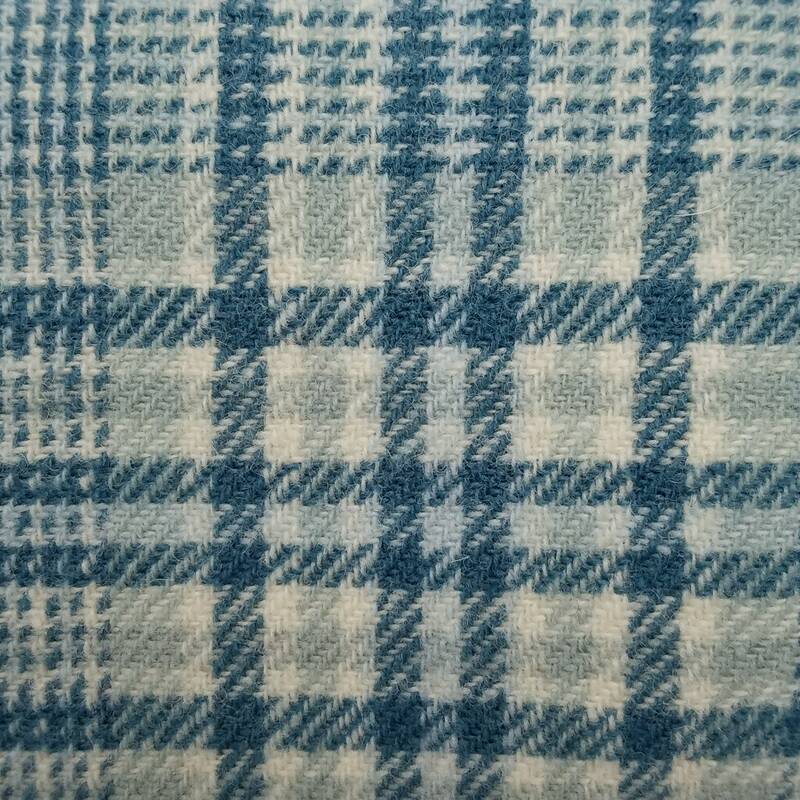 The blue color has a slight greenish hue in some lighting.